(photographer unknown; photo in the Museum files)". Tim Chaloner sent me a few photos of his trip down into Florida, to the Jacksonville area. 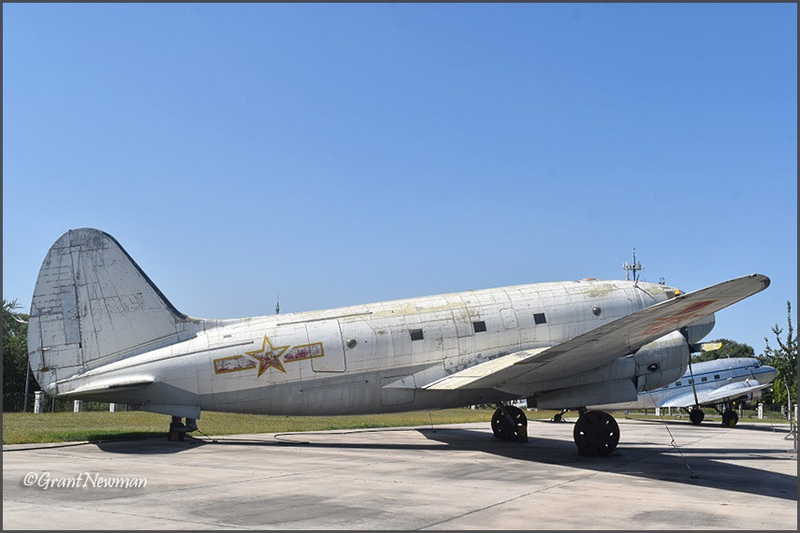 Tim wrote: "C-47 '100597/Z7' on display at Camp Blanding, Starke, FL. 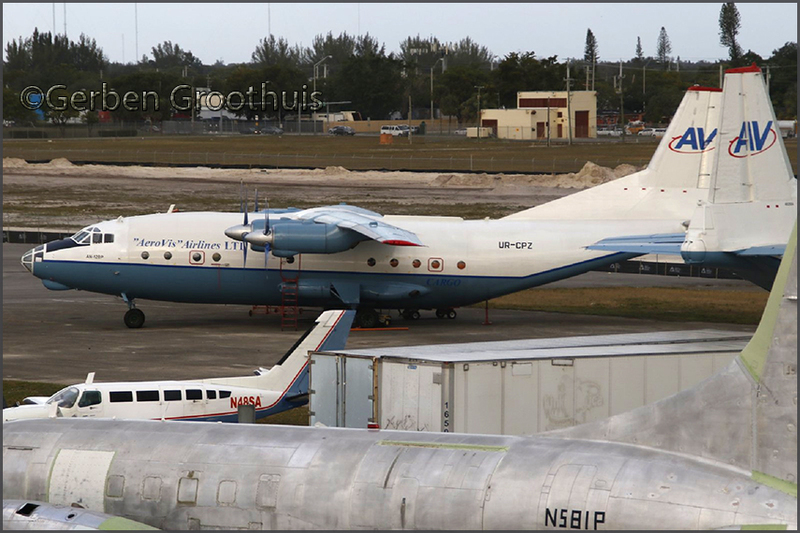 Although painted as serial 100597, book sources say it is BuNo.12436 with c/n 9619." 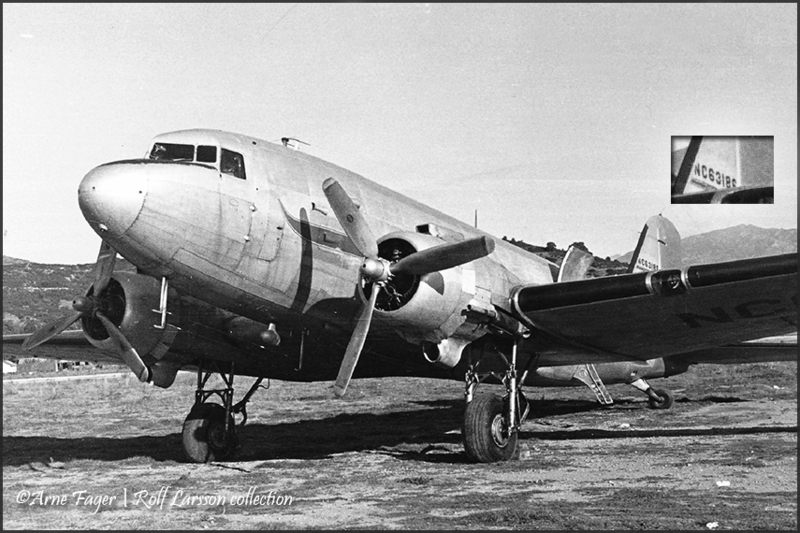 DC-4 N55CW, complete except for the lack of propellers. It was parked too far away for a photo." EXIF data show date 22Apr2018. 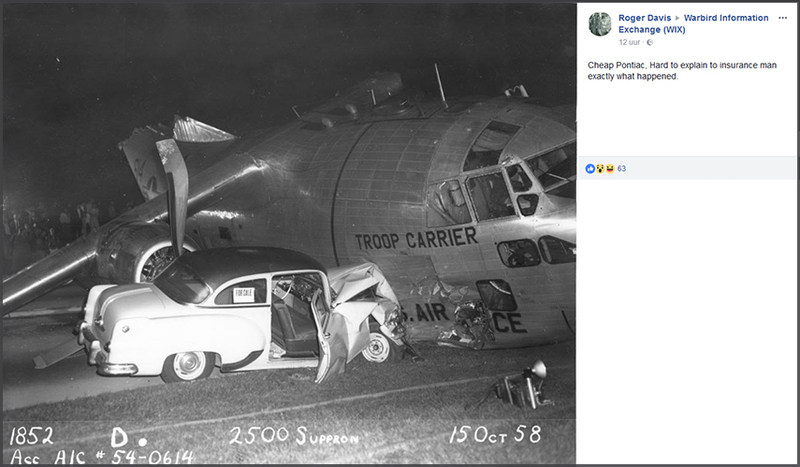 Long time resident at Willow Run (YIP), Detroit for Kitty Hawk Int'l and Zantop; after years of storage ferried to here. The same story here, former registration N5013K for Zantop Int'l. not keep them in the air; perhaps they will be converted to airtankers for aerial firefighting.. 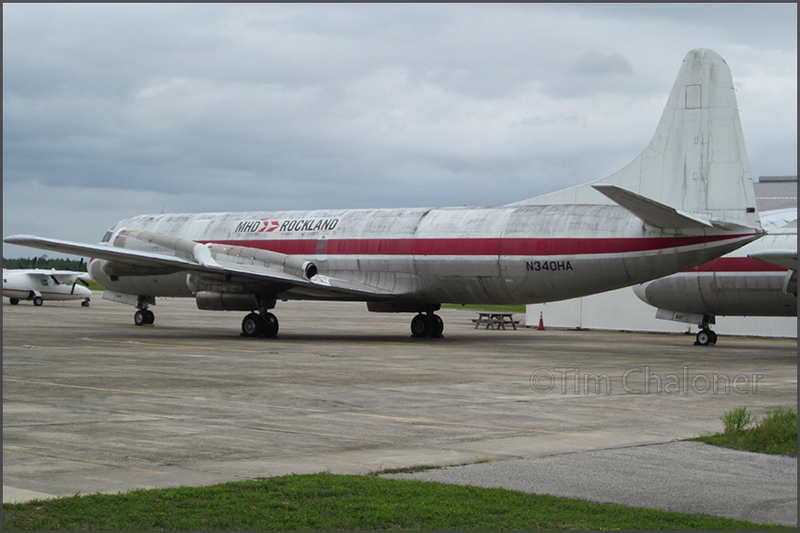 It was identified as N125X, for full history use the link. I've seen recently at Flabob airport in California. 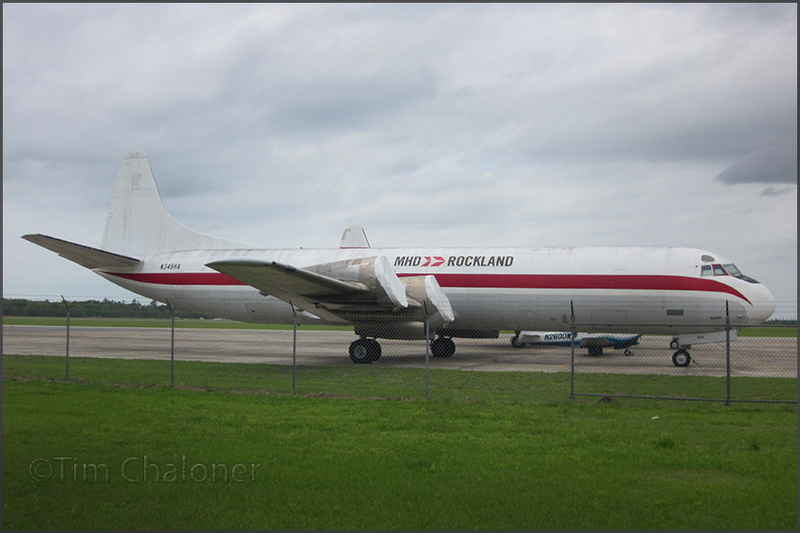 May 24th sees another update to the Bill Hill vintage airliner gallery! 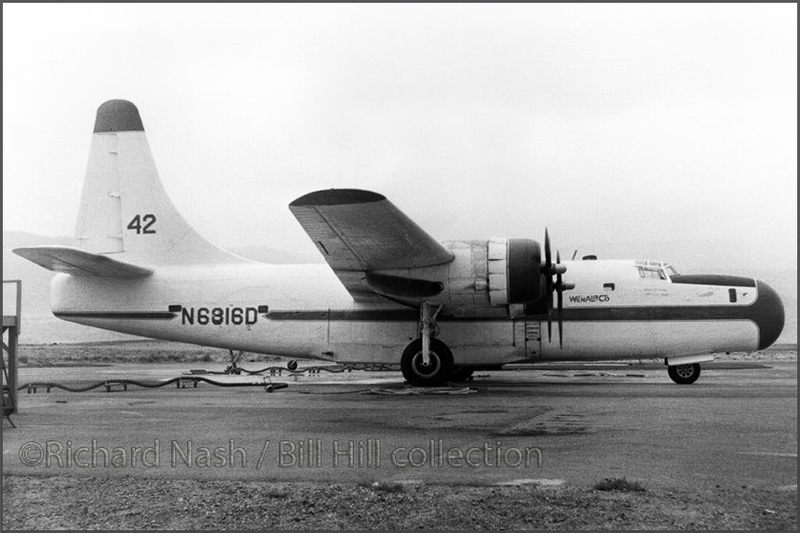 Consolidated PB4Y-2 Privateer, N6816D (c/n 59905; Tanker 42) of WenAirCo of Wenatchee,WA. Log Reports of Greybull,WY and Photos by Friends & Guests #21. 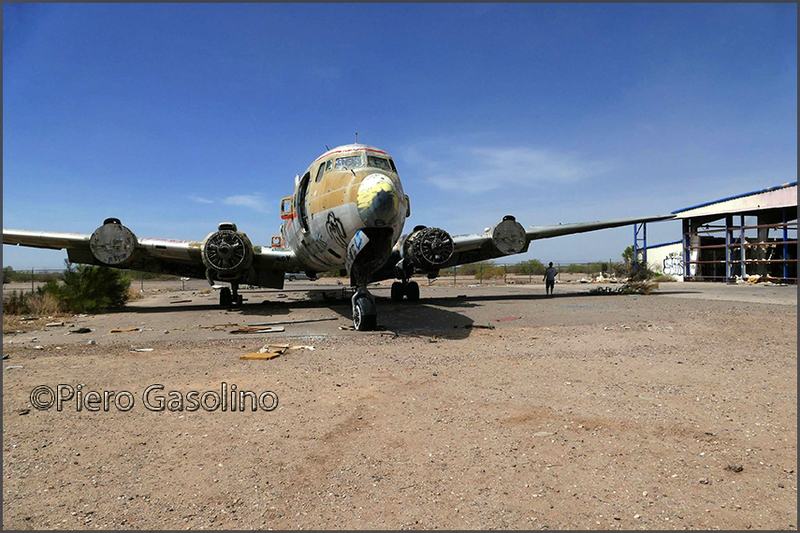 This VC-47 was destroyed by fire 23Apr2018 while it was being dismantled and an acetylene torch ignited it. No mention of damage to any other planes, but in two seperate occasions fire occurred on airplanes being dismantled. The scrapper had no prior experience on scrapping airplanes; he normally would demolish structures such as bridges. 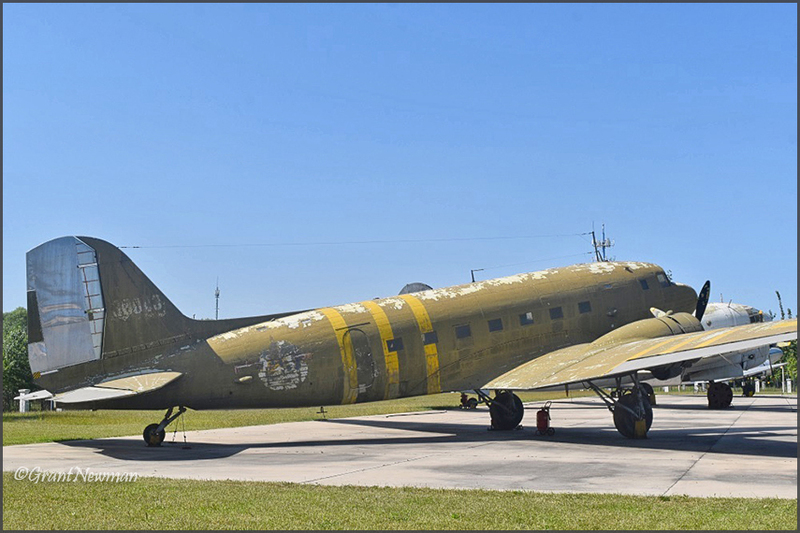 "Fire engulfed a C-47 plane on the grounds of the former Chanute Air Museum that was being dismantled by a salvage crew. There’s a lot of magnesium in those planes,” Shreves said. “It’s mostly aluminum, copper and steel,"" but the presence of magnesium means a fire can’t be put out using just water. The salvage operator said he lost $2,000 as a result of the fire, Waters said." Village leaders ordered a cease and desist on the company dismantling planes at the former Chanute Air Force Base after a third fire within a month. They say the man in charge wasn't taking them apart safely. In April, when he started the deconstruction Morrison said, "It's the first time I've ever bought aircrafts. I usually demolish bridges and other stuff like that." 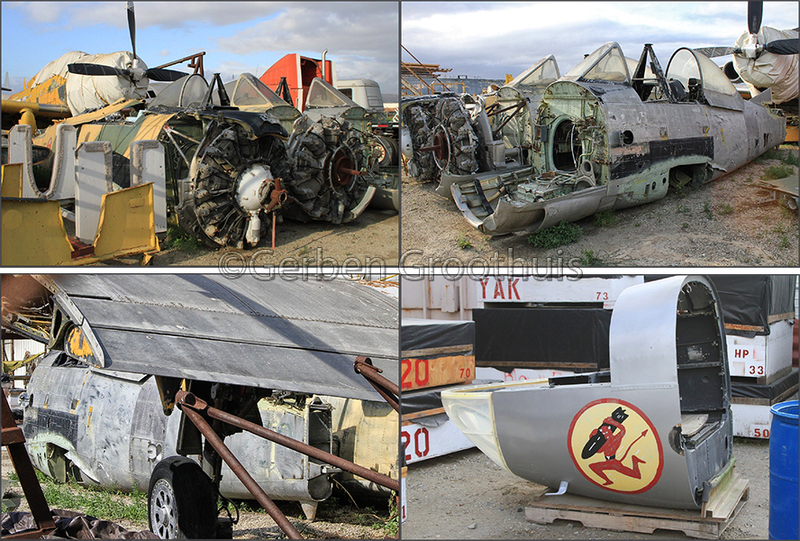 The aircraft are being scrapped and not sold to the public for fear of getting obsolete parts back in circulation. a little east on I-78 from that place. I had no prior knowledge of this one and hope to visit it some day. 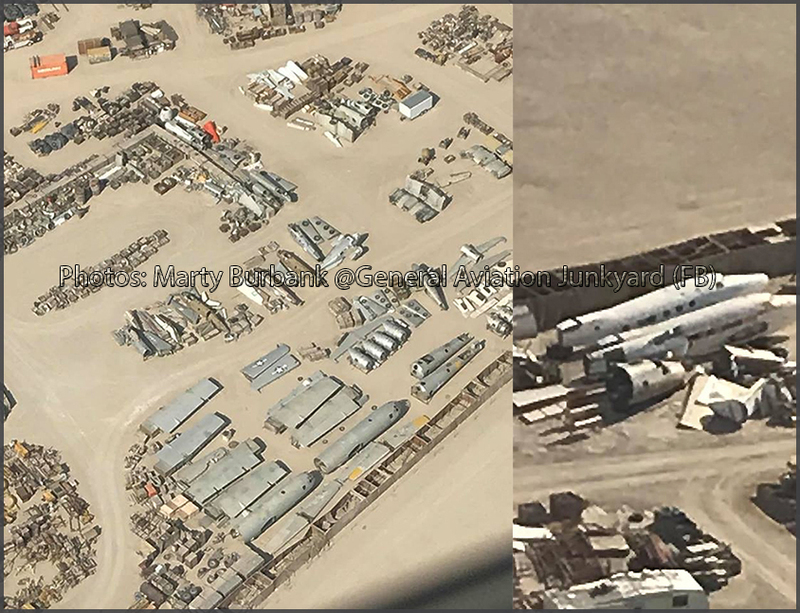 I think this boneyard is connected with Aero Traders and planes, I found, have made their way to the Aviation Warehouse (see MY CALIFORNIA 2018 REPORT) but there still seems to be a few remaining hulks there. Worth to explore! in pieces as well as several other aircraft and parts. 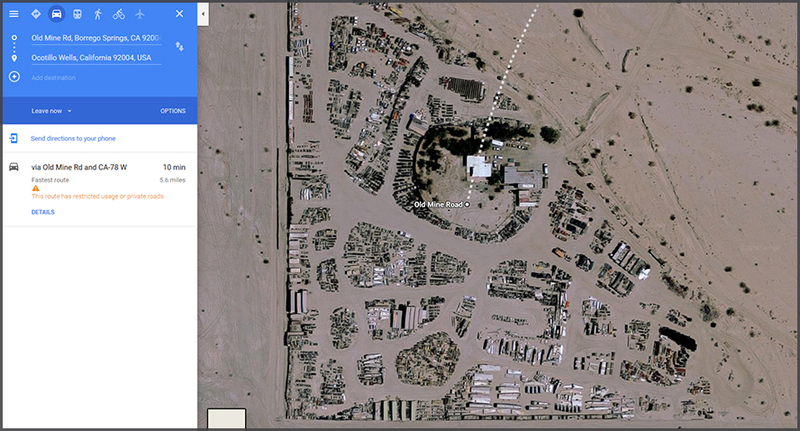 It is in the middle of the desert miles from any paved road." As a comment about the B-29's Matt Heringer wrote: "45-21787 and 44-70049 from what I can gather. Owned by Kermit Weeks. One was damaged in Florida in hurricane Andrew. I think they're both his." 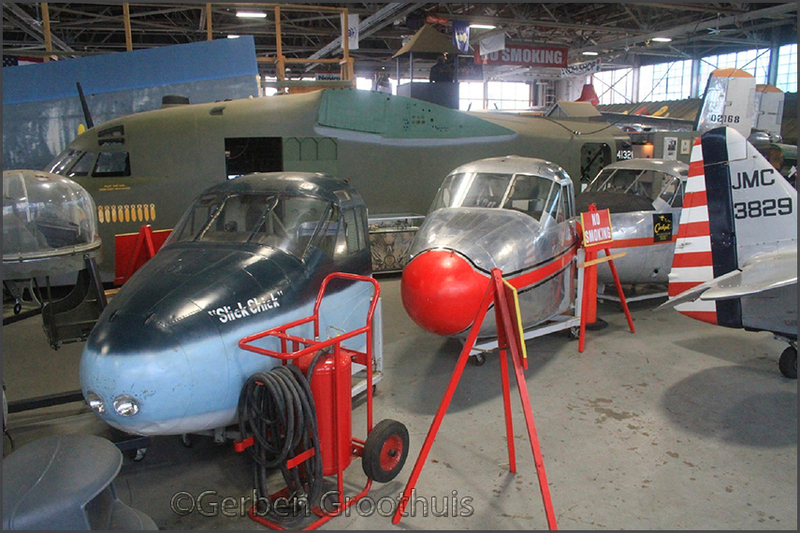 And Russell James Legg commented: "Two Beech 18s & two Lockheed Harpoons... Many Catalina fuses?" 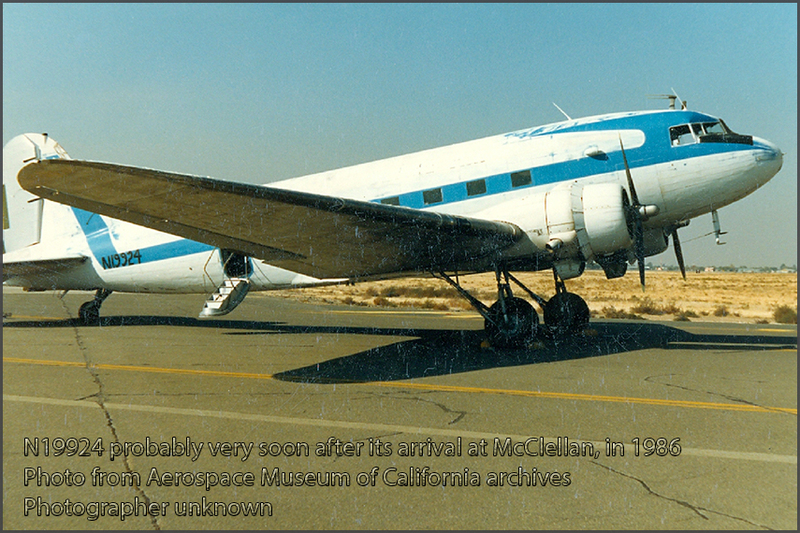 Roy wrote: "I visited northern California myself last August, just before the Connie arrived from Helena. 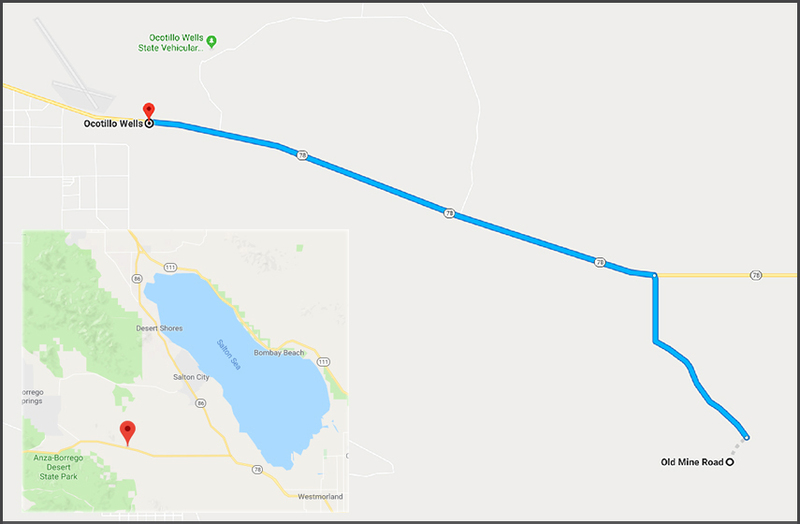 G18S N732EB, which arrived by road on 17Feb18." Googling I found these photo by Corey Mosley! moving to Stockton,CA Today. I hope the guys at Vintage Aircraft take good care of her." 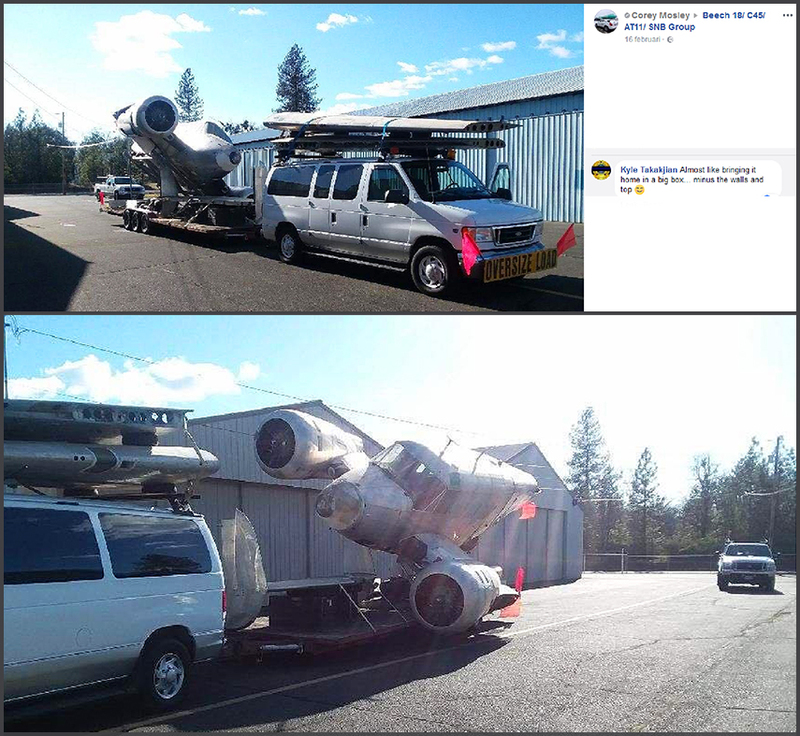 HU-16 Albatross N113FB was flown out of Marana,AZ (03May2018), saved from the scrapman! of Barron Aviation LLC flew to Hannibal,MO where the engines will be taken off and returned to Marana to ferry the next one out. Barron Aviation LLC is reg'd in Perry,MO. Dillon Barron and Betsy Shaw posted this happy event on Facebook. I came across these seaplanes only last year, neatly in a row all seven, @Pinal Air Park (Marana,AZ - former Evergreen Air Park). See my USA2017. 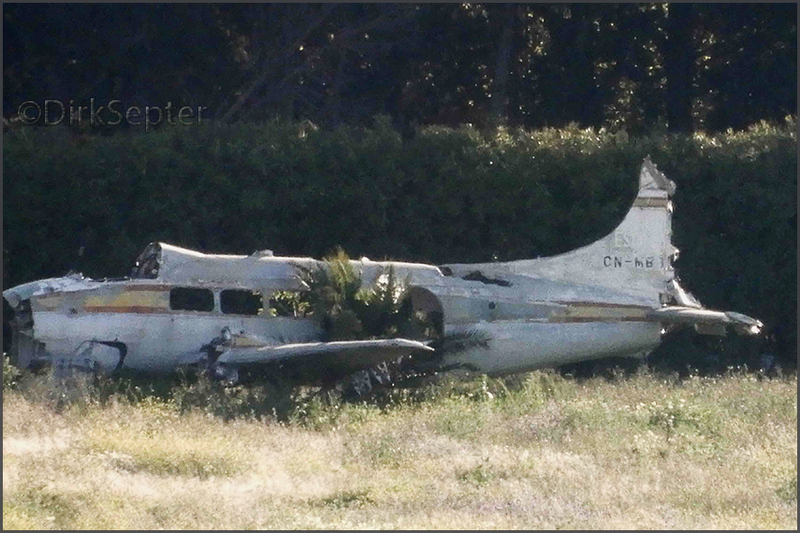 I think the remaining ones are: G-111 c/n 218 N122FB (ex/ USAF 51-7168); G-111 c/n 432 N125FB (ex/ US Navy 141282); G-111 c/n 452 N118FB (ex/ RCAF 9304); G-111 c/n 456 N119FB (ex/ RCAF 9308); G-111 c/n 460 N116FB (ex/ US Navy 148325); G-111 c/n 463 N112FB (ex/ US Navy 148328). 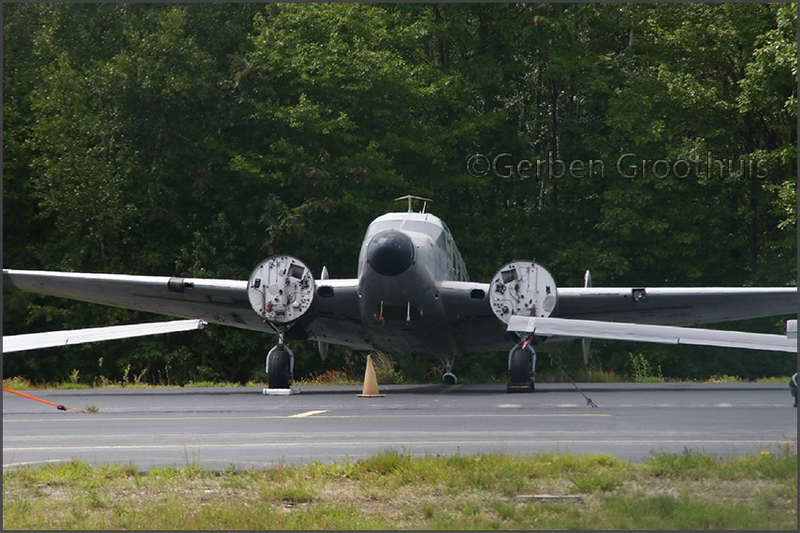 A few months ago Dakota Sharpe informed me that DC-6 N666SQ had moved into town (Fairbanks,AK). But I had to wait until now, april, to have N666SQ sufficiently free from snow for a suitable photo! N666SQ is a Douglas DC-6, c/n 43004 (line number 40, probably one of the oldest still around). Apparently there was no way for Everts to make money flying the 'Baby DC-6'. It couldn't haul the loads that the larger DC-6A/DC-6B/C-118 are capable of hauling and the cabin was too short for many of the loads. So it remained in the Everts's boneyard for many years. For its entire history see my Alaska 1995 (page 2), as well as my Fairbanks 2003 page. 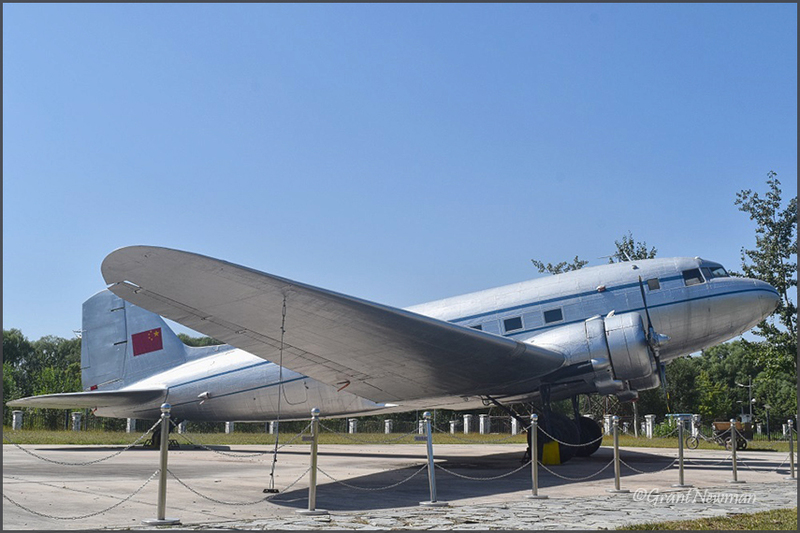 There was an attempt to get the CAF and other organizations to take her because she would have been the oldest operating DC-6 in the world. In the end, Rob Everts donated the aircraft to the Vietnam Veterans Motorcycle Club for their clubhouse in North Pole, AK. But when I visited their clubhouse (my 2012 report) I found only the tailfin there, the rest had moved because people living in the area objected to amount of traffic and visitors it brought on! But at that time, 6 years ago, I could not locate its new 'home'! 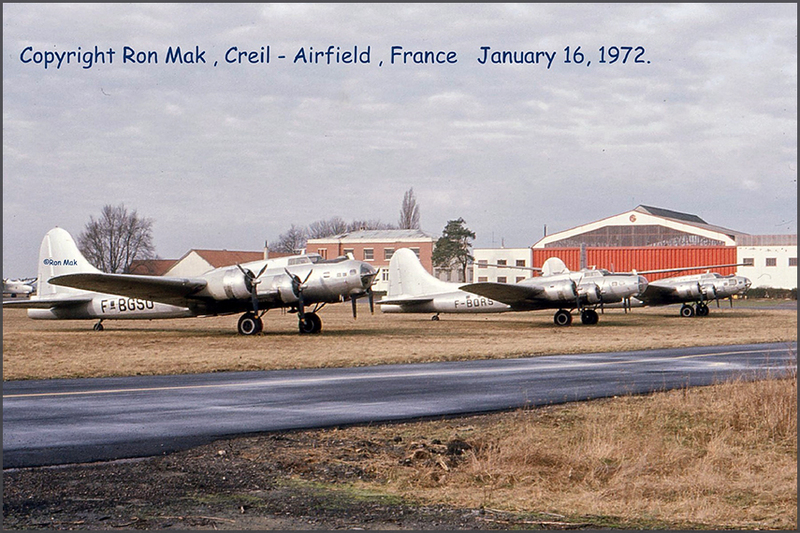 Roger Davis‎ shared this on Facebook's 'Warbird Information Exchange (WIX)' page. why the wings came off." Dirk Septer sent me this photo taken at Malaga,Spain Airport on 14Apr18. 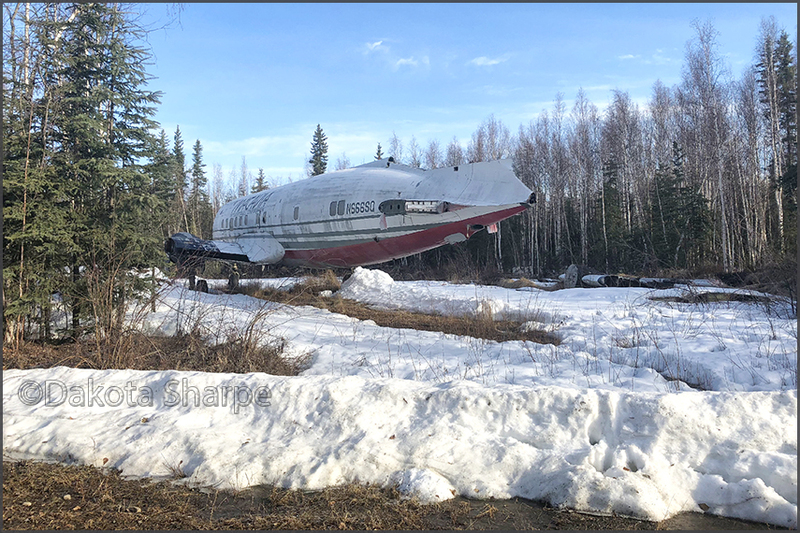 JoeJoe Prince noted Everts Air N100CE grounded ('aog') at Bethel,AK in april 2018.
inboard engines to be changed. 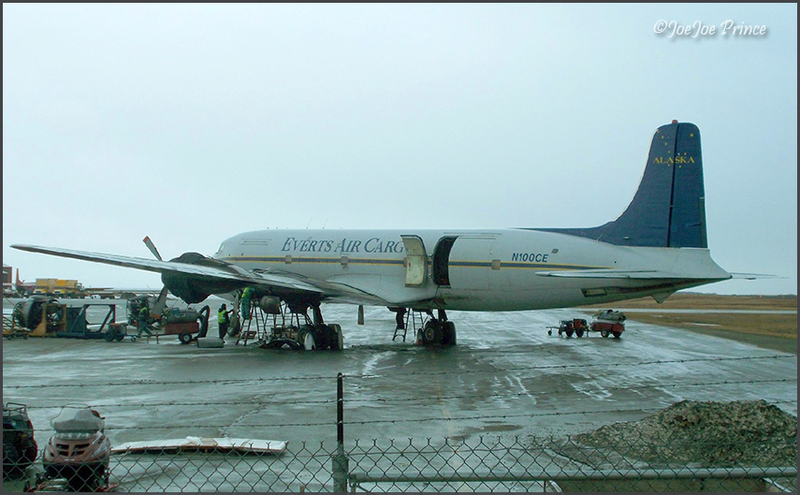 They were flown in on a DC-9 of Everts Air. On april 24th he took this photo, engineers working to change the 2nd engine. 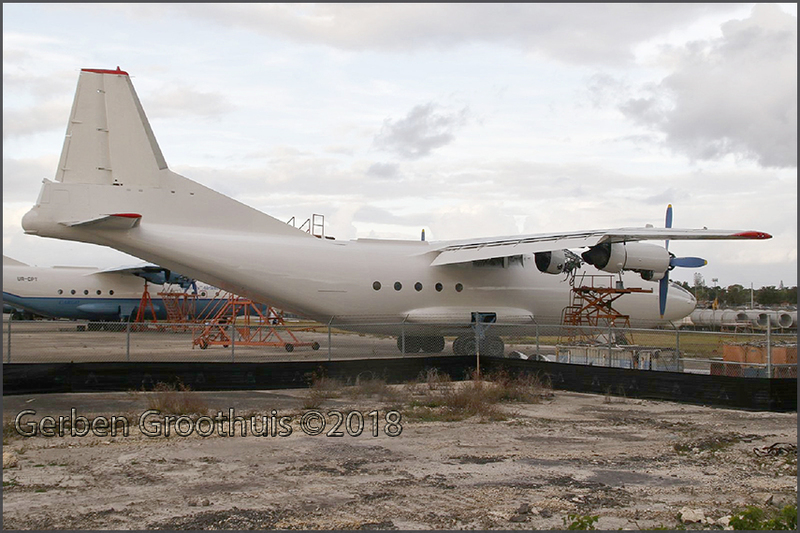 So C-118A N100CE (c/n 44662/629) should be soon in business again. Cause of the requirement to change engines 2+3 I don't know, perhaps a severe birdstrike inbound into Bethel AP. 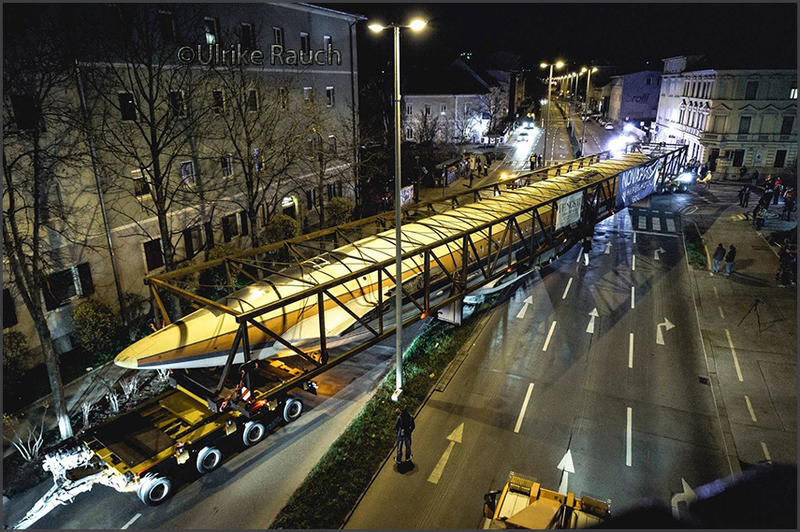 See the gallery of JoeJoe's photos on my website HERE..
A item in my daily newspaper made me google for the transport of this Iyushin ('Ilyuchin') to the Novapark in Graz. 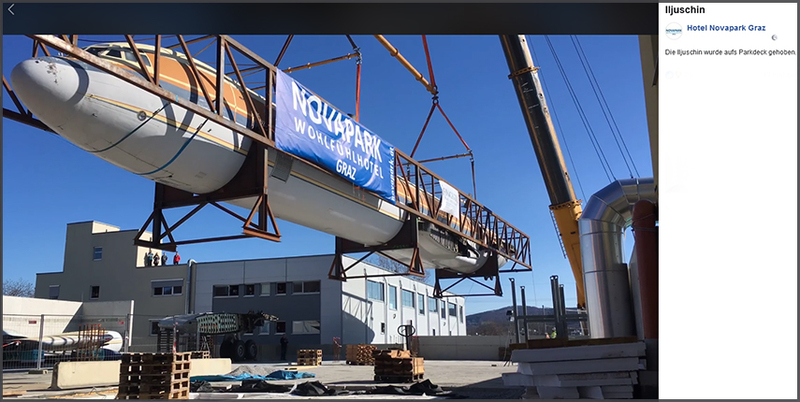 I found a video of hoisting the IL-18 IL-62 in place, added onto Facebook in the morning of 06Apr18. "Transport 'Rumpf' Ankunft 05Graz2018 @Wohlfühlhotel Novapark Graz"
On 05Apr2018 N77KZ (c/n 950) landed in Tununak,AK. 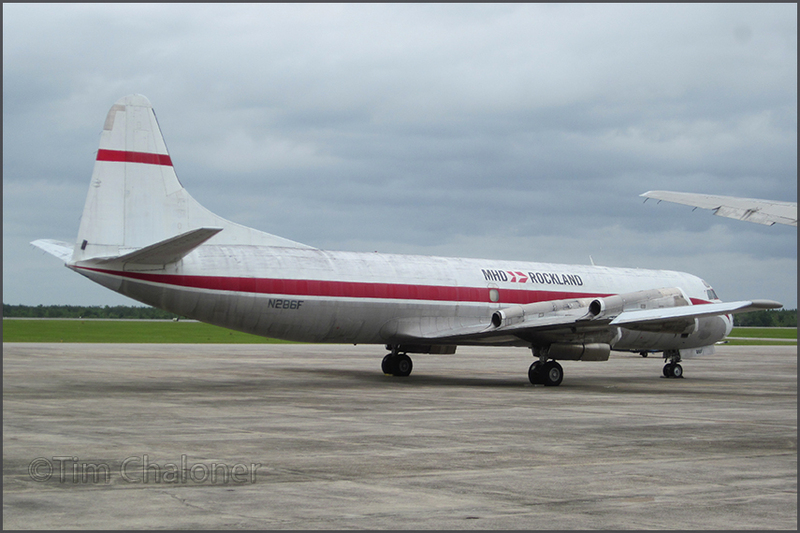 N77KZ was reg'd 19Mar16 to Michael Air Service, owned by Michael Renfro. That outfit also goes by the name of Alaskan Adventures. That rough strip certainly looks like a true Alaskan Adventure! Michael Renfro also owns Yute Commuter Service, but that operates as a seperate Air Taxi operator. 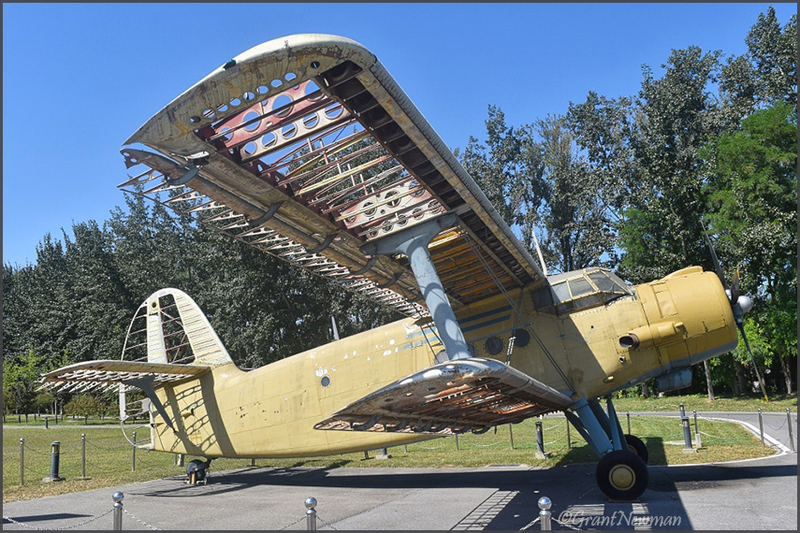 Lisinov Li-2, 38068 or 38043 ?????? Neil Aird sent me this 'blast from the past' from his collection. Neville wrote me:".... last week [26 Jan?] 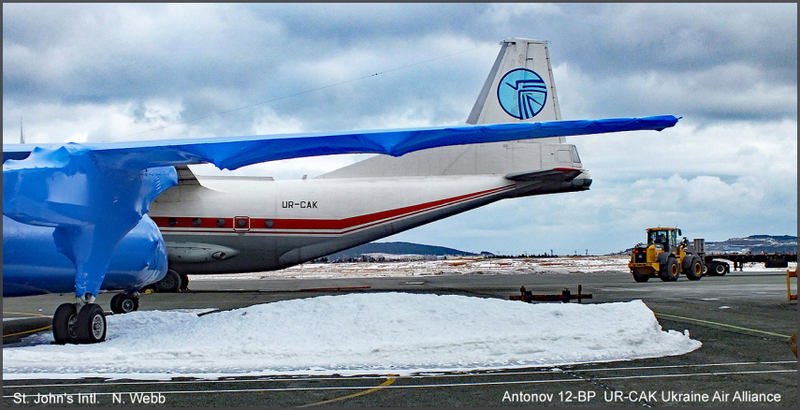 passed by St. John's Airport YYT and noticed two Antonov An-12BK transport aircraft UR-CAK and UR-CAJ of Ukraine Air Alliance (UAA) at the Irving Aviation ramp! Both aircraft with rear gun turret [windows fared over] and gun housing still in place! Both these planes were built in the 1960s and fly world wide. wrapping with the tailplane removed. Pictures taken by holding camera against the mesh fencing and hoping..."
and UR-CFB	An‑12BP	6343802. The latter is/was being overhauled in Rovno,Ukraine - could it be this is the one? 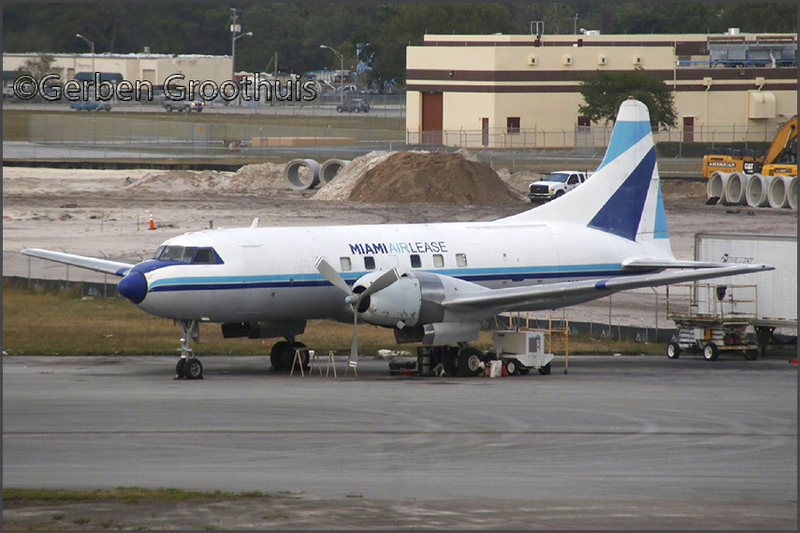 Miami Air Lease Convair CV-440 'Metropolitan', N41527 (TC-131E 55-4759; c/n 346). 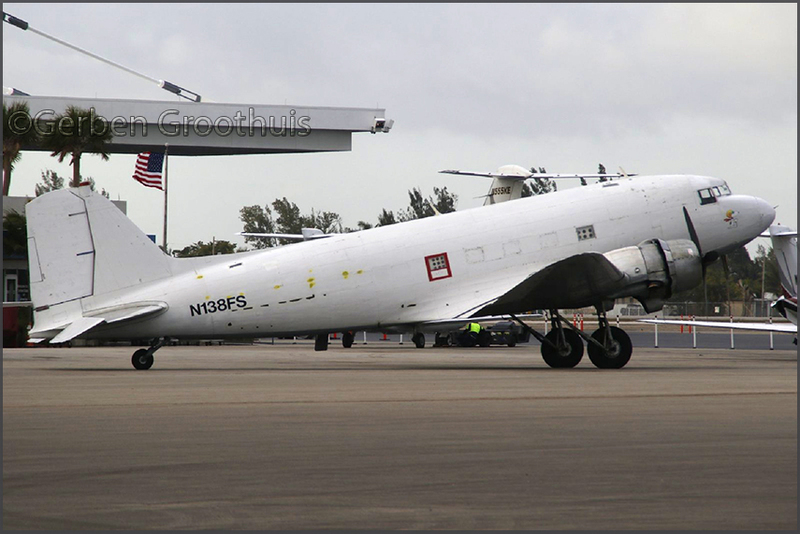 DC-3 N138FS c/n 9967;	Alen Enterprises Inc, former Four Star Aviation. 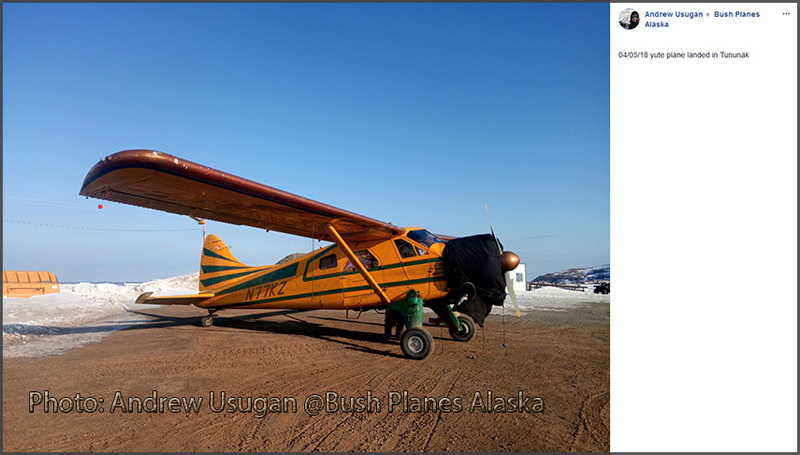 N867TA, @Oldprops website "Crashed and destroyed Nuiqsut, Alaska, 9/01. 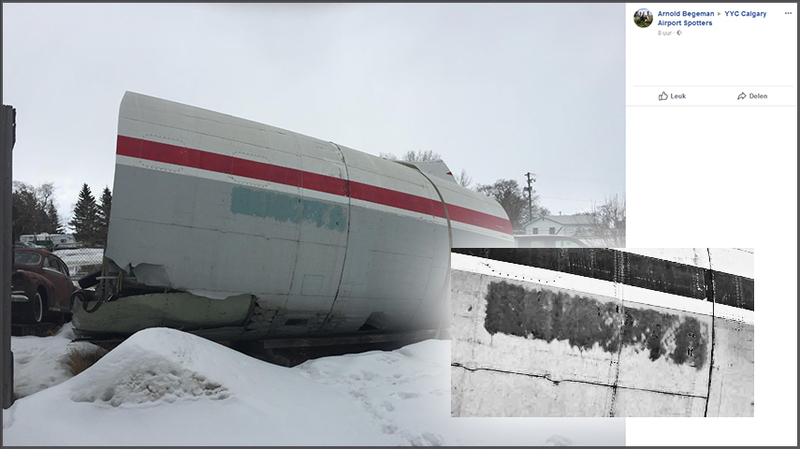 Rear fuselage section at Fairbanks." So now we see it sighted at Red Deer in March 2018. I wonder: for what purpose? 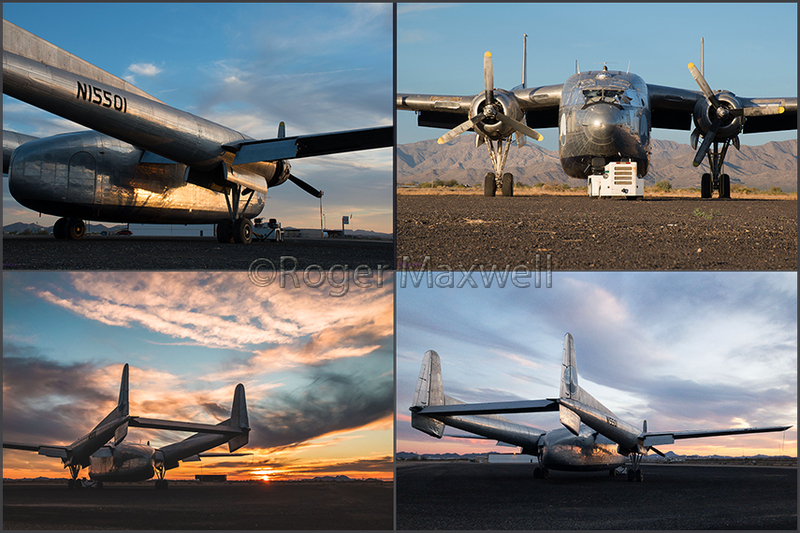 See my page on the Douglas DC-6 'Swingtail'. 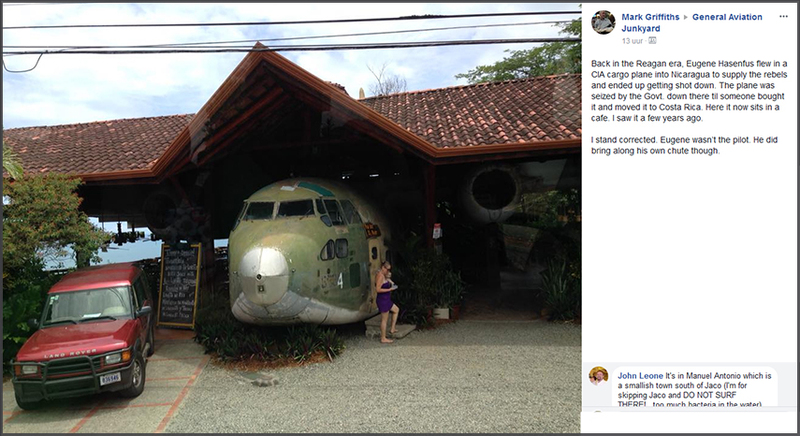 John Leone remarked: "It's in Manuel Antonio, which is a smallish town south of Jaco.